We offer secure storage for boats on both sites with the ability to store up to 150 vessels. All boats on storage have the availability to water and metered electricity. We provide a large range of cradles for hire depending on the size of boat so all your storage ashore needs are available with no fuss. 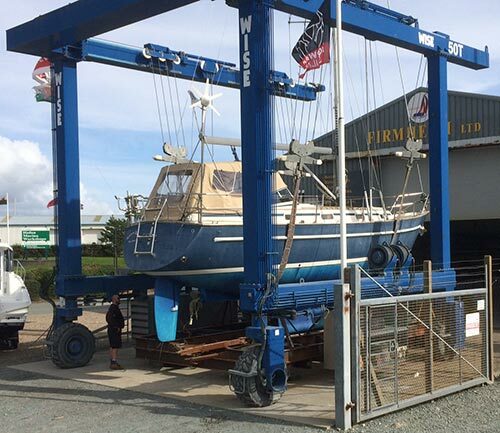 We provide boat hoists up to 40 tons at our Pwllheli Marine Centre site and 20 tons at our Outer Harbour site. 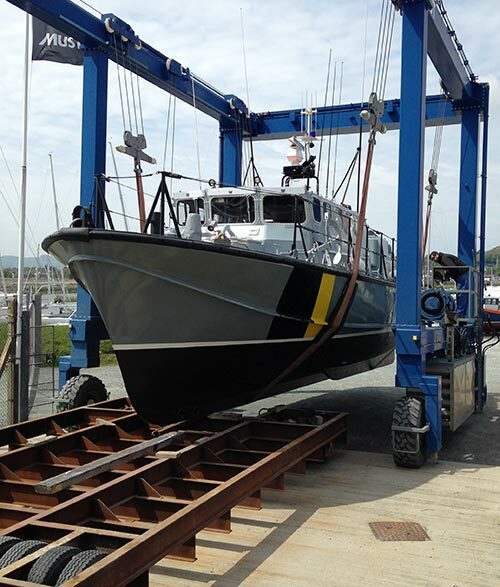 Additionally to this we also have a smaller boat mover to assist in storing and compacting of boats on our storage yards together with two mobile cranes so our flexibility for all boat handling, moving and craning is vast.